The early history of Sonora/Arizona (Pimeria Alta) was profoundly influenced and determined by the Jesuit missionaries from Europe. After Padre Eusebio Kino's death in 1711, an increasing number of German-speaking Jesuits arrived in our region and soon dominated the entiry missionary district. We have known so far well about the Fathers Ignaz Pfefferkorn or Joseph Och. 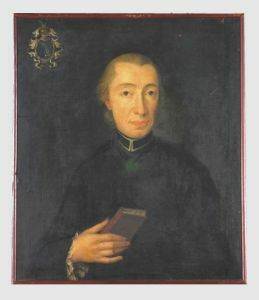 The Swiss Philipp Segesser, one of the most effective, pragmatic, and industrious members of the Jesuit Order active here in the Southwest, has not yet been fully noticed because his large collection of letters have never been translated into English. Segesser's reports about his daily life in our region, his insightful observations about local agriculture, fauna, flora, climate, and geology, and his numerous comments about the native Indians, their life styles, clothing, food, hunting habits, religion, and culture at large prove to be most intriguing and fascinating. I have trranslated these letters, and am in the process of getting them published. Philipp Segesser’s letters are held today in the Staatsarchiv Luzern (State Archive of Lucerne, Switzerland), under the call numbers PA 437/585, PA 437/586, PA 437/587, PA 437/588, and PA 437/589. Letters in some files are numbered by a modern hand (top right corner). Copies were made in the 1970s for the Office of Ethnohistorical Research at the Arizona State Museum, University of Arizona, Tucson. Dr. Heiko Schmuck transcribed those for his doctoral dissertation (Philipp Segesser SJ [1689-1762], 2004), or at least most of them, sometime around 2001 or 2002. A careful comparison with the transcription with the documents held in Lucerne revealed that unfortunately, not all letters have been transcribed (perhaps because they had not been copied or photographed in the first place), and starting with the second folder (586) gaps appear, or the letters are no longer in the right chronological order. With some training one can learn to decipher Segesser’s hand, but there are also a good number of letters that represent great difficulties. Overall, however, Segesser writes with a steady hand throughout his life, and he never changes his writing style, which considerably facilitates our abilities to read his texts. The transcription closely follows the text line by line, so we can easily trace the original. But I indicate in the case of the first letter, beginning with line 16, how the text would have to look like in reality without any artificial line breaks. Occasionally I had to correct Dr. Schmuck’s transcription, but the present document does not represent the ultimate edition of Segesser’s letters because I did not compare every letter with the transcription; instead I used spot-checks, which indicated the need for further work to render the handwritten version into a correct print version. For an English translation, see my forthcoming book publication (2012). Below follow a comprehensive study of the history of the Jesuits in their missionary activity, particularly in Mexico and the Southwest of the modern-day USA, along with a history of the Jesuits in Lucerne, Switzerland, where Segesser originated from, together with several excerpts from the translations that mostly concern Tucson and San Xavier del Bac.